Hello All, I'm looking for a little advice. 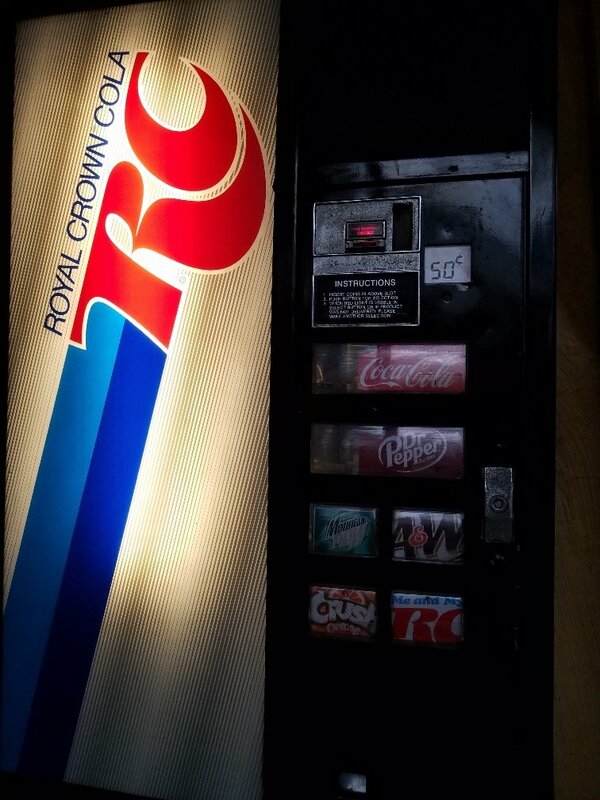 I recently purchased an old RC Cola - Dixie Narco for in my carport at home. 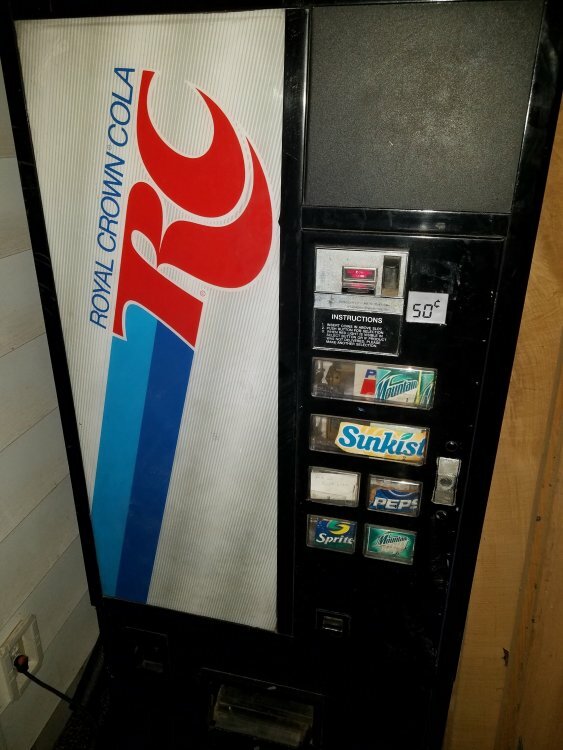 This is my first vend, I wanted something that could do cans, and be within the 1970's-80's era. (and within my budget) It's a small unit that takes coins only (single price - Coinco with Jones Plug) The compressor works and keeps the drinks cold, and the outside is in good condition, but it won't vend. Thinking this is a simple fix - I started with the Coinco - it had some old coins crammed in it, so I downloaded the manual... took it apart, cleaned it, and put it back together. Now it works great and I figured out the dip switches to set the price to $0.50 per can. 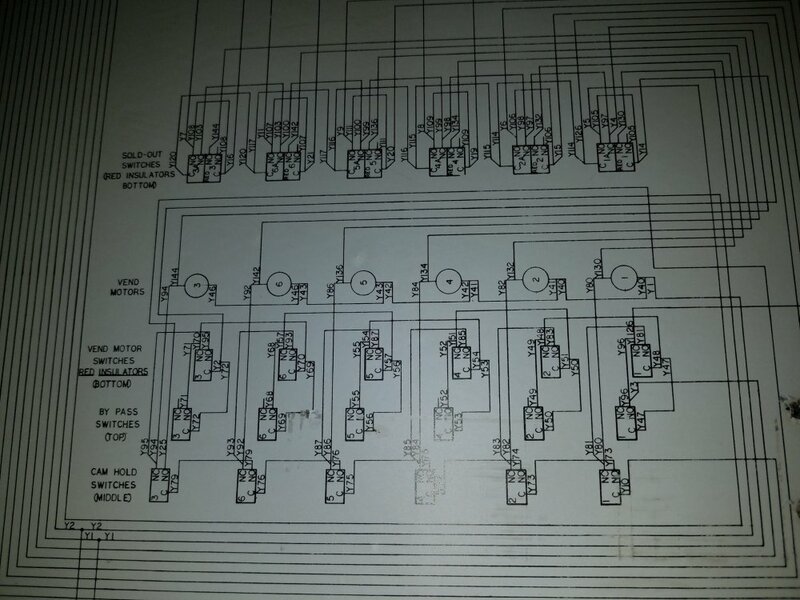 I then tried to manually trip each of the motor switches, and they all power cycled and would dispense cans manually. Although I did end up stripping one down and cleaning it because it was a little gummed up. But never unplugged any wires there. Still it won't vend. 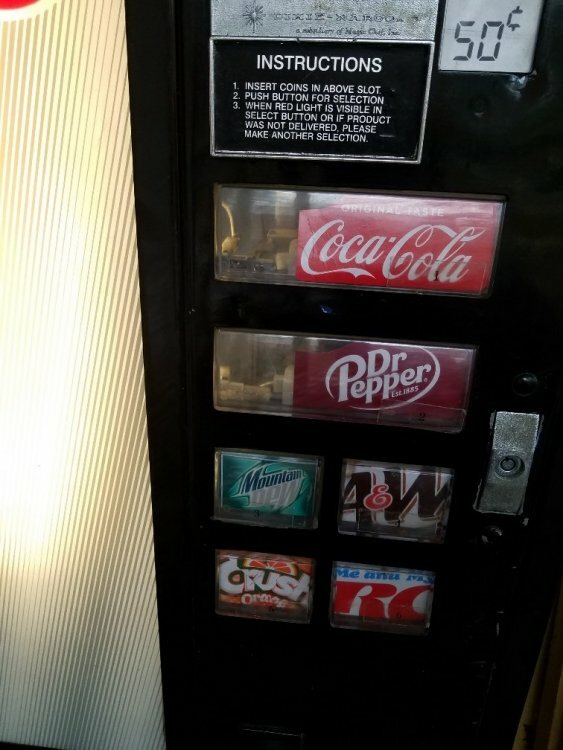 I can now add $.50 - the "add correct change light" goes off - I cannot add any more money it just falls through... so it's prompting me to make a selection... but after trying all six buttons - no motors are engaged to dispense a drink? Signal not passing from the button selection switch to the motor switch? After reading a few posts online, I turned my attention to the "selection switches"... Figuring that if one went bad they all would be bad, I just bought six new ones from a company in Maryland. (less than $5 each) Last night they arrived in the mail, so I started installing them... Nothing. Still won't vend. I'm guessing I'm down to either the Jones Switch Relay or the Wiring Harness? But I really don't think it's the Jones Switch because of the way it prompts me after adding the correct change to the machine? 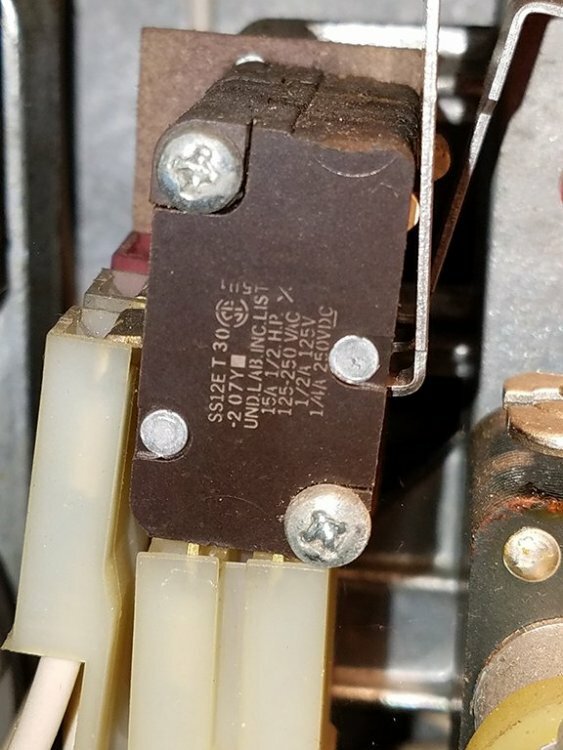 So I'm thinking there is a short or break in a wire somewhere that isn't allowing signal to pass from the selection to the vend motor? I'm going to try a tone generator on the wiring harness tonight, I've attached the wiring diagram below in case someone else has an idea? 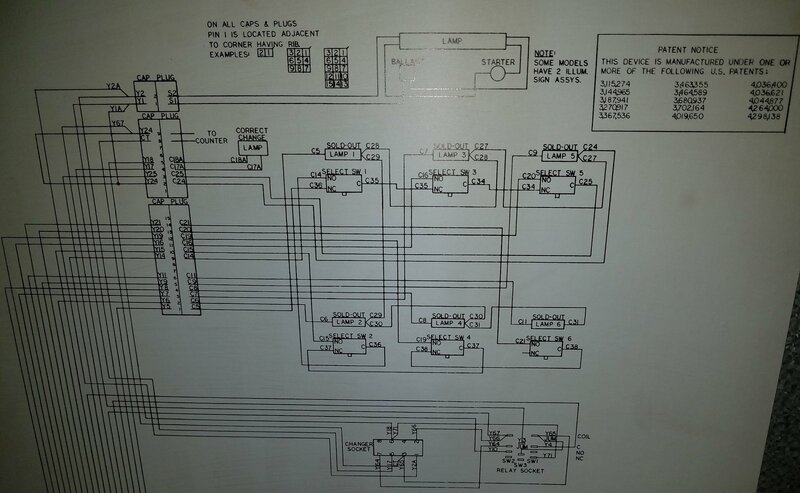 I'm not electrically inclined - so any advice is greatly appreciated. Positive note - I LOVE to Tinker!! Vend Motors for my machine. SOLVED!! The problem was at the door hinge, where the wire harness passes through the door into the cooling box. 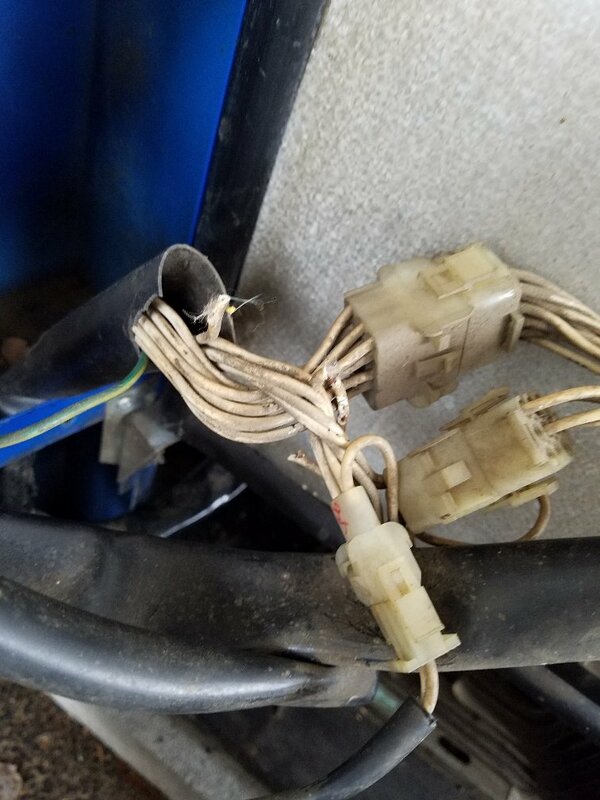 The exposed wires had frayed through and were shorting on the frame of the cabinet! 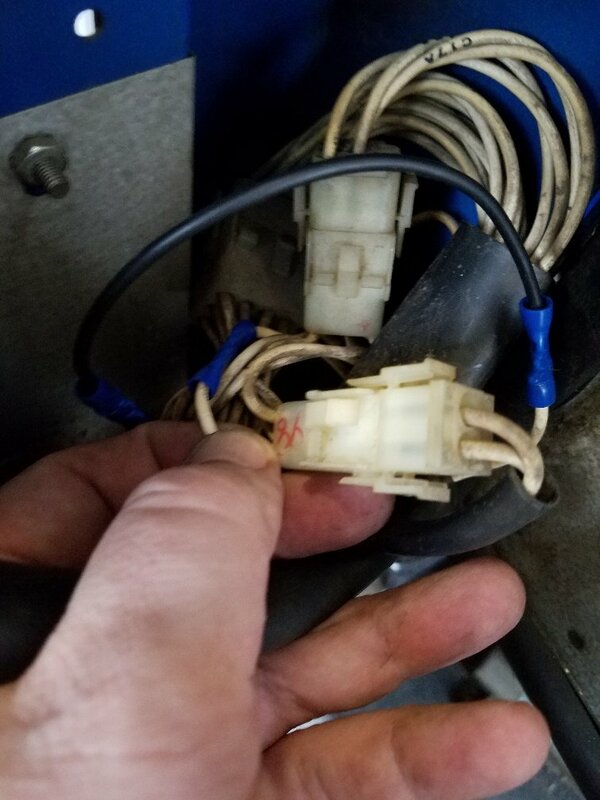 A very simple fix, I stripped the wires and reconnected with crimp connectors, one wire was very short so I added some wire and crimped that new piece in to make a strong connection. 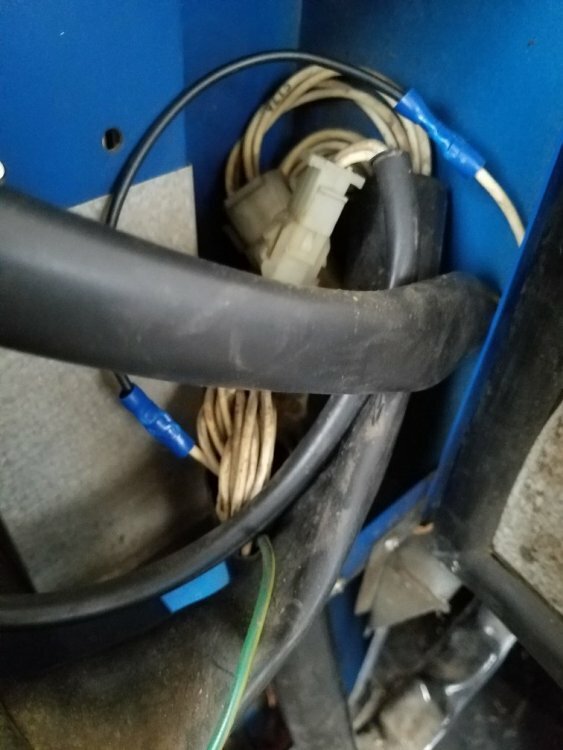 Then reclamped the harness into the frame so the exposed wires were protected! It vends like a champ! Pics of the final repair to make the machine 100% complete. The wiring had frayed at the door jamb where the wiring harnesses join together. So a little splice job, clip and crimp and it's working great! 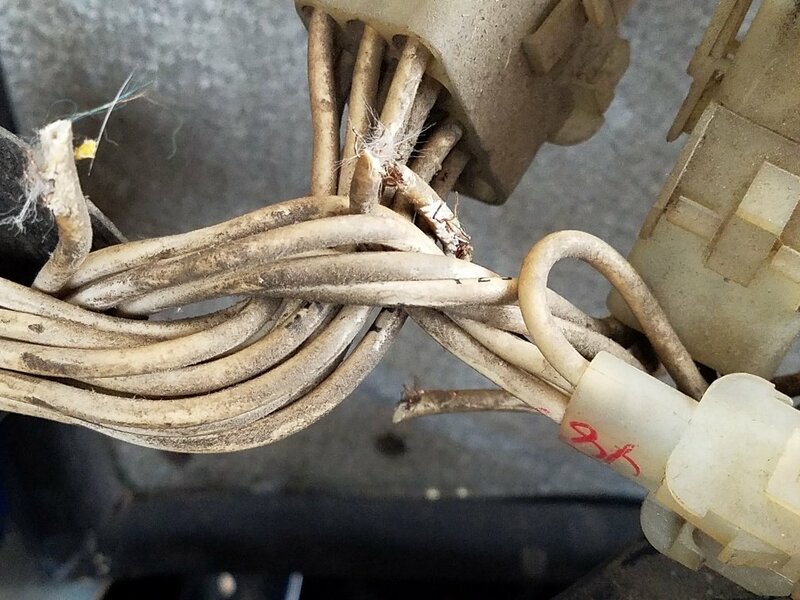 Glad you found the issue, wiring can be a real pain.